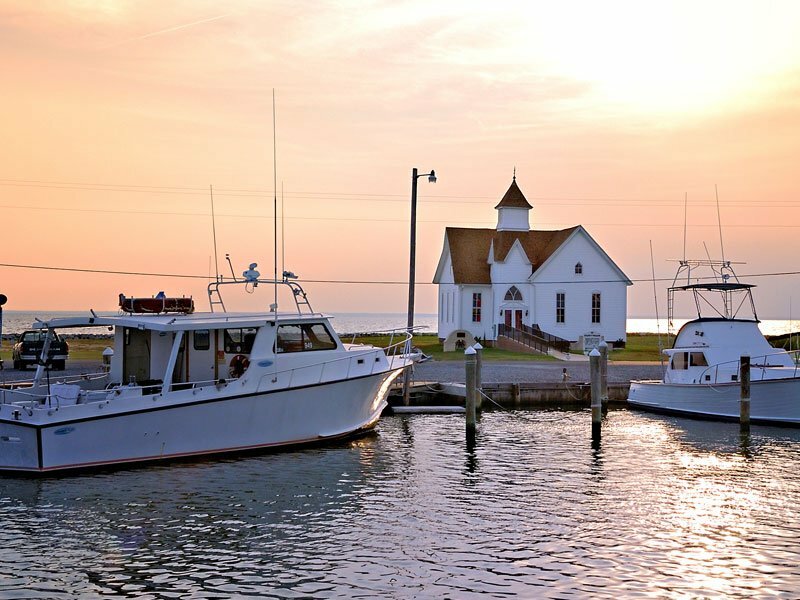 Unspoiled landscapes, stunning sunsets, beautiful waterways—there’s beauty waiting around every curve in Dorchester County on Maryland’s Eastern Shore. Here are a few of our favorite ways to soak it all in. With 27,000 acres of dramatic marshland and great wildlife watching, Blackwater National Wildlife Refuge in Cambridge attracts visitors from all over the world. Watch for bald eagles, great blue herons, migrating ducks and birds, osprey, Delmarva fox squirrels, sika deer, and more. Spring is a great time to see migrating shorebirds, and October and November are prime time for seeing upwards of 50,000 migrating ducks and geese, as well as tundra swans and sika deer. 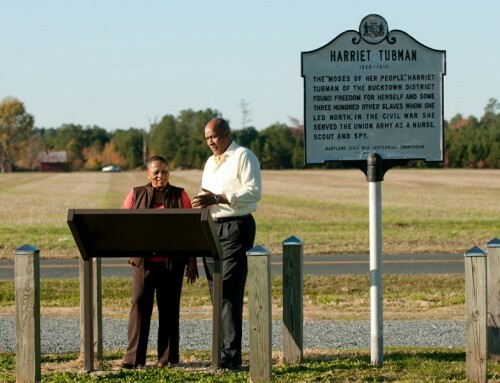 Explore the four-mile Wildlife Drive by car or bicycle, or walk one of the short nature trails. Or just come for the breathtaking sunsets. No wonder the refuge was named one of the top 10 “amazing places to watch wildlife” by USA Today (along with the likes of Yellowstone and Glacier National Parks), as well as one of “Top 25 Hot Spots” by Outdoor Photographer magazine. The Blackwater Visitor Center also has interesting exhibits. 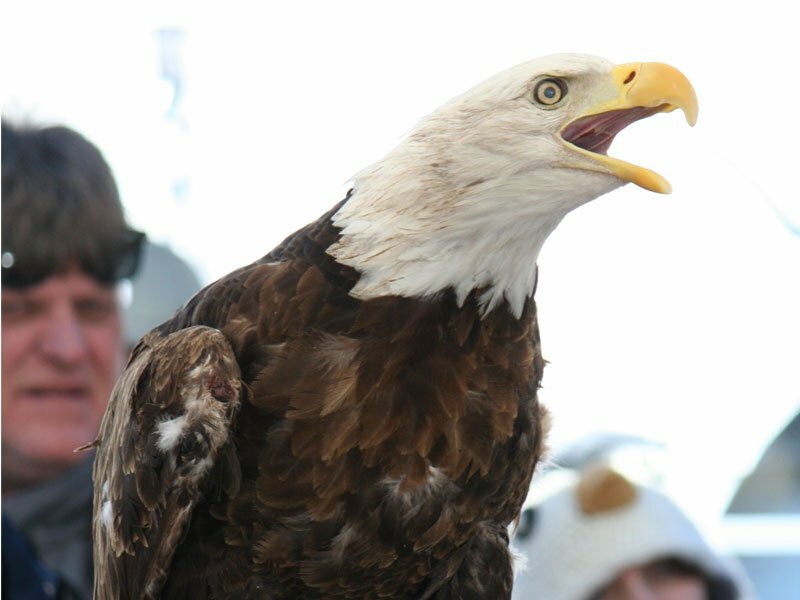 Each March, the refuge hosts the Eagle Festival, with great views of birds of prey and lots of activities for kids. Plan your getaway now by ordering your free Dorchester Visitor Guide, Dining Guide, and/or Cycling Guide. View the guides online or order them here. And browse our list of special deals in lodging and dining. 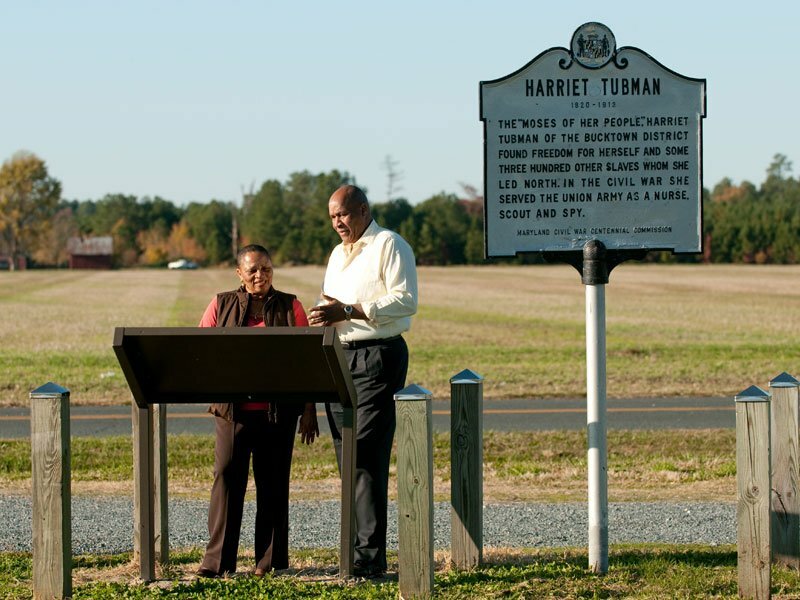 Gas up the car and head toward Taylors Island, Hoopers Island, or Elliotts Island for a glimpse of waterfront villages where working the water is still the main occupation. Along the way, you’ll see eagles soaring, herons gliding across the water, farm fields, great water views, and a different way of life. Hoopers Island is about a 40-minute drive from Cambridge. The only restaurant on Hoopers Island is Old Salty’s, a popular destination for locals and visitors alike and famed for its downhome crab cakes and other seafood. NOTE: Because they’re low-lying islands, these areas are subject to occasional high tides and storm surges that bring water onto the road. If you see water on the road, use caution. Bicycling is a great way to explore nature here. You’ll find that Dorchester’s flat and quiet roads are just right for two-wheeled adventures for cyclists of all ages. Bring your own bikes or rent them here. 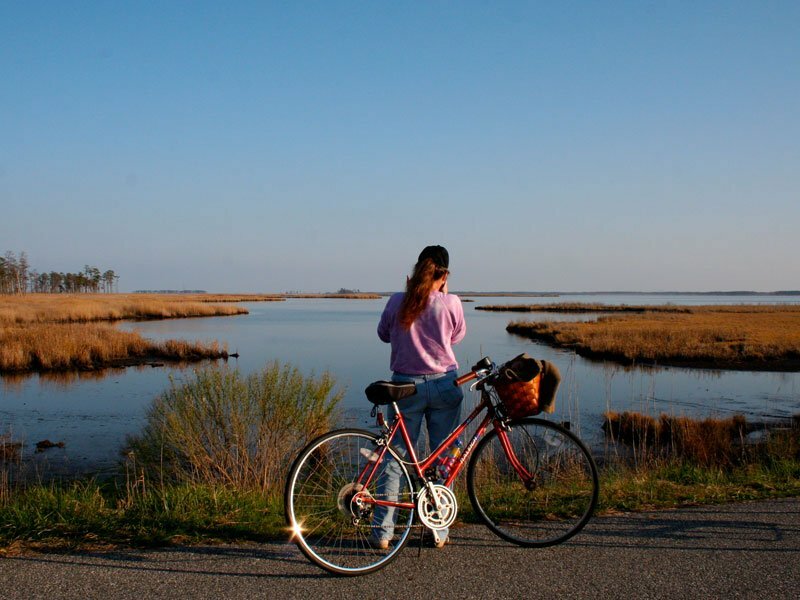 We’ve put together some suggested routes from 5 to 80 miles in our Dorchester County Cycling Guide. Dorchester is also host to a growing number of cycling, running, and swimming events. See what’s coming up. With its many waterways, Dorchester is ideal for paddling, whether you’re on a kayak, canoe, or stand-up paddleboard. Being low to the water lets you glide into places that other boats can’t get to, and gives you a close-up view of waterfowl and other wildlife. Bring your own equipment or rent through Blackwater Paddle & Pedal or one of Dorchester’s other outfitters. If you’ve never tired it before, take a stand-up paddleboarding class through Over Board Paddle & Fitness. For paddlers, there are three marked water trails at Blackwater National Wildlife Refuge, and many other opportunities throughout the county. Being out on the water gives you a whole different perspective on the beauty here. Join a sail on the skipjack Nathan of Dorchester, a traditional oystering vessel. Take a cruise on a paddlewheeler. Or charter a fishing boat. After you’re done adventuring for the day, continue watching Mother Nature’s show with a drink or a meal by the water. You may even catch a spectacular sunset. Dorchester has several waterfront restaurants. 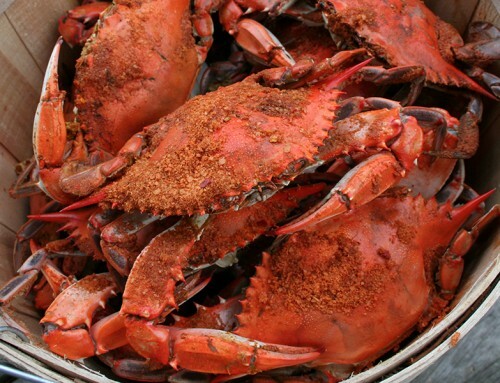 And most of our restaurants serve up delicious crabmeat and oysters that come right from local waters.